Turn to us for quick and effective refrigeration repair in the Barrie area. When the alarm goes off that your refrigeration temperatures are out of range, you don’t have time to waste waiting on a refrigeration repair company. You won’t have to if you call us at L&B Mechanical. We understand the urgency, so we get on site as quickly as possible. Our technicians are well trained in diagnostics and refrigeration repair to get your unit up and running quickly in Barrie, Ontario. Our trucks are well-stocked with the most common parts needed, and we can do refrigeration repairs on all makes and models. We also recognize that often refrigeration repair is needed beyond regular business hours, so we keep technicians available 24 hours a day for emergency calls. If your system is set up to notify you when there is a problem, even in the middle of the night, you can be assured a technician can meet you at your business and get things taken care of quickly. You will find our technicians to be experienced, professional, and friendly, so your experience exceeds your expectations. 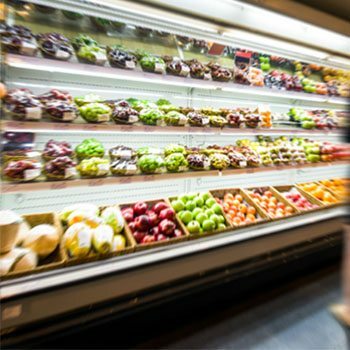 You can count on us for honest advice regarding your refrigeration system. If we believe the cost for the refrigeration repair is going to be excessive, we’ll let you know the cost difference between proceeding with the repair and installing a new unit. With the proper information, it will be easy for you to make the decision that makes the most sense for your business. If you want to do your best to avoid the need for refrigeration repair, we recommend our maintenance contract, which provides for regular maintenance that will keep your system running efficiently and keep repairs to a minimum.